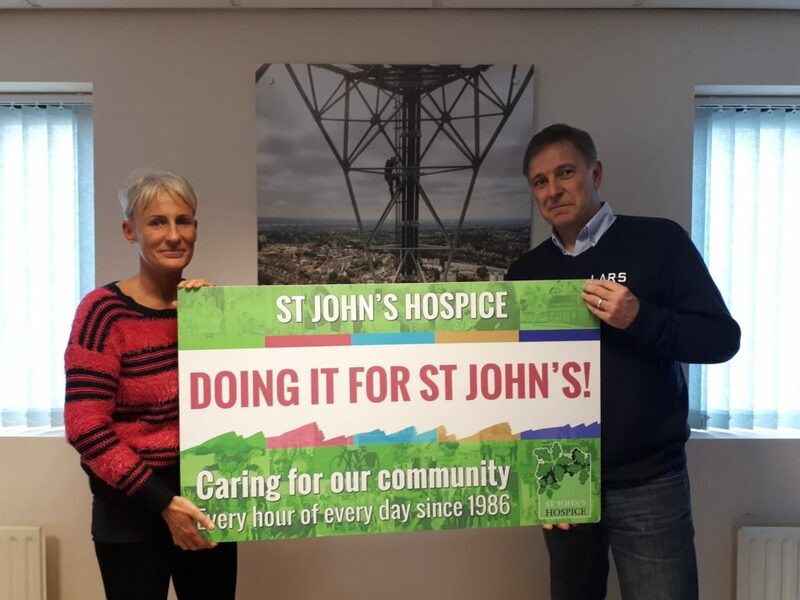 We were thrilled to welcome the team from St John’s Hospice to the LARS offices recently. Following our fundraising exploits this year, they were keen to pop in and say thank you in person. Earlier this year, the LARS Drifters took part in the Keswick to Barrow Walk. The team set off from Keswick just after sunrise on 12 May. Over the course of forty miles, they enjoyed some of the Lake District’s finest scenery, including Thirlmere, Grasmere, the Langdales and Coniston. After many hours, some blisters and a few aches and pains, they were very happy to finish at the Hawcoat Park Sports Club in Barrow-in-Furness. This is a very challenging walk but the team has suggested they would be up for it again – no pressure Julian Cooper, Donna Tyson, David Barr, Heather Cooper, Emily Barr and Charlotte Mallett. Special mention also goes to Imogen Barr, Sandra Nicholl, Amy Dixon and Rachel Mallett who completed the Coniston to Barrow walk on the same day. More recently, LARS’ Donna Tyson and her daughter, Caitlin, took part in the 25km ‘Moonlight Walk’ around Morecambe and Lancaster. This event, which is in its twelfth year, has become a very popular event, raising in excess of £1 million for the St John’s Hospice.